On the night of January 23, 2019 there were 2,229 people identified as homeless in Essex County. 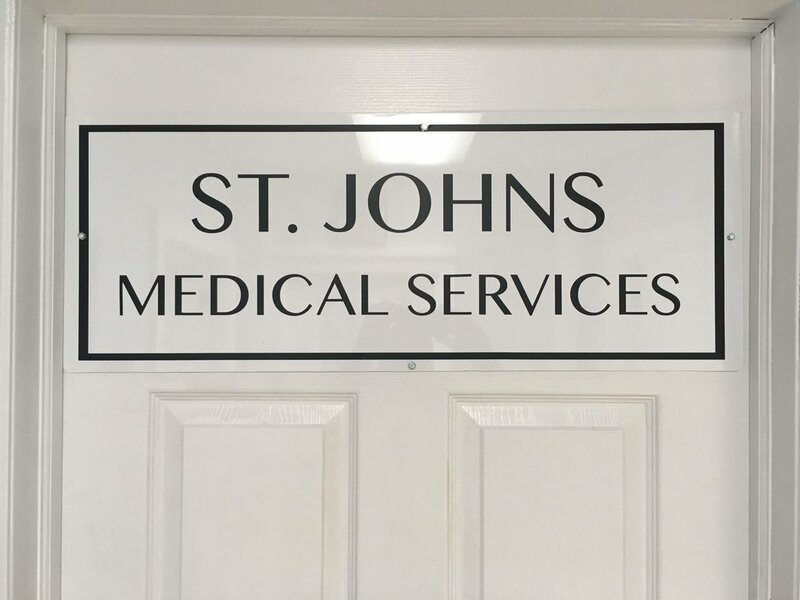 This is a count done every January by agencies and volunteers to better assist this population and St. John’s sees a large portion of this population. This was the inspiration for our medical service. With a desire to help the poor and some generous donations, Sister Alma Pukel, RN, started St. John’s Health Services in the old convent building. The first day was November 1, 2007 and it has been growing and going strong ever since. Sr. Alma was the director and she started the health care programs in effect today. Kathleen McAdam, RN, came to work with Sr. Alma until she retired at which time Kathleen McAdam became the director in May 2011. Among the clinic programs that continue today are a partnership with Rutgers School of Nursing (training for student nurses), NJ Omission for the blind (once a month free exams and glasses), Beth Israel Hospital (HIV testing), and volunteer doctors nurses and students. Katie (Kathleen) Shaw, RN, came to work with Kathleen McAdam in 2012 and became the director after McAdam retired. The Rutgers students come two days a week as part of their public health training. Dr. John Russo, MD, and Mary Mack, RN, are weekly volunteers. Sr. Charlene Kostuk, PA-C, SSJ, started last year and is able to do physical exams, write prescriptions and increase our clinic hours. This allows us more flexibility with our treatment programs and provides us the ability to follow up with patients. As we expand we hope to get a Podiastrist (which is vital due to the conditions our visitors live in) and get a dental clinic up and running. Our hours are now Tuesday through Friday 8:30 am - 12:30pm.